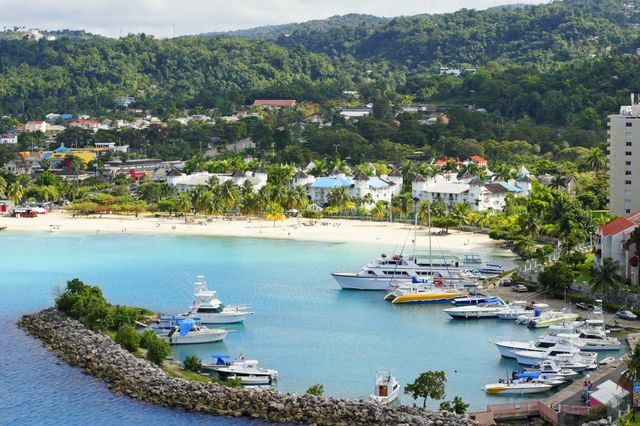 A long-popular destination, a Jamaica honeymoon with its beautiful beaches will not disappoint. Whether you are hoping to dance the night away or are looking for a relaxing, romantic beach getaway, a Jamaica honeymoon has something to offer all types of couples. The island is sunny virtually year round and offers a range of holiday options which make it an ideal honeymoon destination. Party-goers flock to Montego bay for the bars, night clubs and legendary music scene. Ocho Rios is home to stunning waterfalls, and is also known as a golf destination. For the eco-minded honeymooner, the misty-mountain escape of Port Antonio, near the Blue Mountains would be the perfect honeymoon location. Shoppers will delight at the selection of local arts and crafts. You won’t go hungry either. Local specialties such as jerk chicken, crab chowder, and conch followed by a cold Red Stripe beer or rum punch will keep foodie couples happy for days. It's easy to see why Jamaica honeymoons are so popular. With so many attractions, amazing food, and beautiful beaches, you'll fall in love with this island paradise. High season is from December to March; expect sunny and warm days. April and May offer decent weather with reasonably priced accommodations. From June to November, Jamaica sees bouts of heavy rainfall. Hurricane season makes Jamaica honeymoons undesirable from August to October. Negril Cliffs: A stretch of 40’ tall seaside cliffs. Rio Grande: The Largest River in Jamaica and a popular destination for rafting. Nature and Wildlife Tours: An abundance of tour options are available in most parts of Jamaica to experience local nature and wildlife. Bloody Bay: A lovely, calm bay which is a famous breeding ground for various species of rays. Doctor’s Cave Beach: Very famous beach. Noted for crystal clear water, white sand and calm waters. Rose Hall Great House: Georgian mansion built in 1770s, restored in 1960s. Provides a glimpse of historic plantation life. Supposedly haunted. Nine Mile: Mountain birth and burial place of Bob Marley. Now home to the Bob Marley Mausoleum. Small museum onsite. Dolphin Cove: Marine attraction where guests can swim and interact with dolphins, sharks and stingrays—ideal for couples who want to commune with marine life during their Jamaica honeymoon. Bamboo Rafting: Rafting trips on bamboo rafts are offered on several rivers in Jamaica such as the Martha Brae River.